Easter is the perfect occasion to get the family together. It doesn’t come with the stress and the hype of Christmas but is still as memorable. Perhaps, it’s the food that really brings the people together? It’s all about the traditional ‘extra special’ Roast with all the trimmings (and of course, a little bit of The Kinmel Arms twist to delight and surprise) as well as the Hot Cross Buns and chocolate of course! 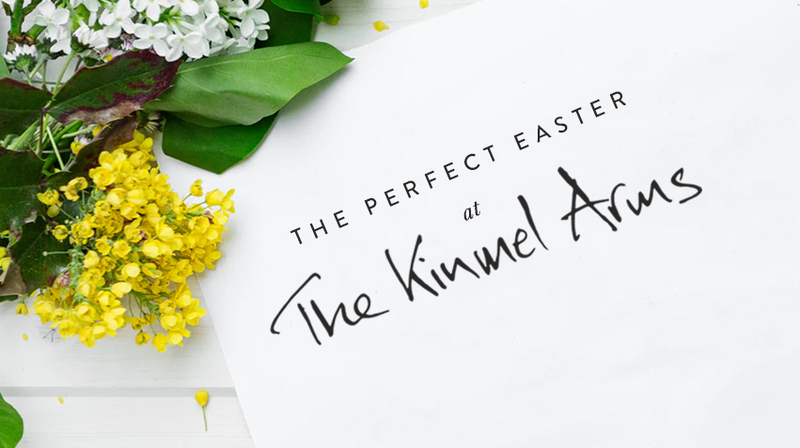 So this Easter, we invite you to join us at The Kinmel Arms for a real occasion. We will have our seasonal Sunday Menu to choose from on Easter Sunday and of course, our new Spring A La Carte and Bar menu on other days. Join us for live music from the talented, Christian Parry on Sunday 21st April from 8pm. Come early and take advantage of one of our glorious walks (one way to build up an appetite!) or linger after at the bar or in front of the fire with a tipple of your choice. This will be a day and a feast to remember! Best to book early to avoid disappointment!